The technique described as ushapana in ancient indian text is an integral part of naturopathy. 'Sickness association' Japan's organization for health experimented and certified the positive benefits of this water therapy. Method- it is most effective to drink water empty stomach early in the morning. if you get up late due to some constraints, you may do this whenever you get up. The best practice is to drink water soon after leaving the bed. Remember don't brush your teeth before drinking water. Process is as follows sit and drink slowly, drink as much as you can in normal case for a adult of around 60 kg weight the right amount of water is 1 liter un one sitting. For more weight should drink 1.25 or so on. In starting if you find difficult to drink to much water try to drink as much as you can and slowly increase the amount in few days. 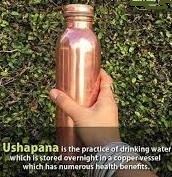 Always remember that water should be clean and drinking quality for more benefit drink water stored overnight in a utensils made up of copper. 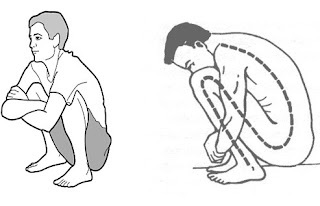 Most beneficial setting posture is ukduasan , sit with only the sole of feet touching the floor there should be minimum gap between the legs. 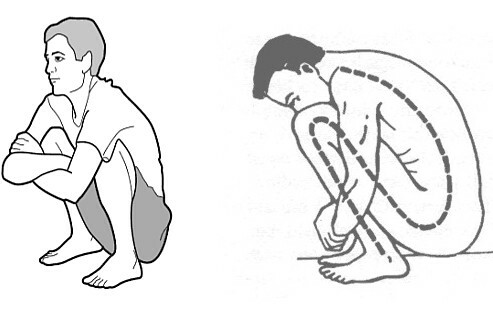 However any setting posture is good. Drink water in sitting posture and after drinking complete water stand up and do tadasan- triyaktadasan-katickrasan 5-5 each for more benefit. If one feel cold, throat pain, fever or weakness , should not drink cold water, slightly less or more warm water will be better. For first 10-15 days the quantity and frequency of urination might increase. Drink good amount of water after 1 to 1.5 hours of eating. The stomach are physically dull during the sleep. But all the physiological and biochemical activities continue. The metabolic activity during the digest the food intake. The vital chemical produced are distributed in the different part of body Drinking of water in adequate amount immediately after getting up fill the empty stomach helps it's excess supply necessary to flush out the harmful substance remaining in the body. Saliva produced during the night contain certain types of unhealthy substance. A layer of these remains coated on the teeth and tongue. Drinking large amount of water in this stake takes these substance inside in a very dilute from which works as a vaccine and helps body to produce antibodies chance improve our immunity.